Here it is, even in the right color! I just love it. 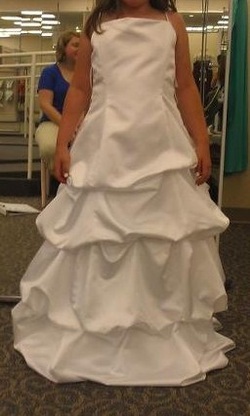 I'm so happy my other two bridesmaids found this one when we went shopping. They tried it on in purple and we all loved it. I went with my sister to try it on and they had the right color! She liked it a lot too, so the decision is made! The color is David's Bridal Malibu if anyone is wondering. 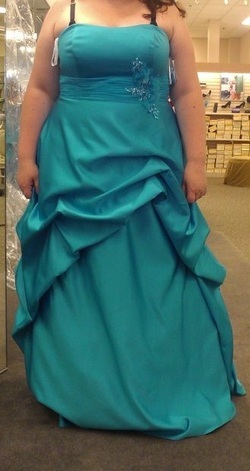 My junior bridesmaid will be wearing this dress with a sash in the color of the bridesmaid dresses!